Katy Perry goes full-out "Jungle Jane" on us with the music video for "Roar" - and are we the only ones having Russell Brand flashbacks after the ill-timed photography in the first few scenes? You do not need to respond to these hacking/nonsense trolls or to the dating sites. It is my mission, and those of my minions, to keep this blog clean of troll comments. When you respond to them, you are feeding the troll. No worries, they will not be here long. It also does not look good when you post 2 minutes after them. It points a finger at you at perhaps being that troll. (Just a word of advice) So when they annoy the heck out of you, just hit abuse, and join my minions of troll busters out there. The more ppl hitting abuse, the faster these trolls disappear. Remember, you have no excuse, hit abuse. This has been a Marqueeland public announcement. Ok, I will try not to "feed" it anymore. Can you help me get rid of all my angry posts that sit on the bottom now? That blogger was driving me insane! I can do that for you. Never feed the troll, because they won't be there very long anyway. Glad to be of service. It's like when your at a zoo and they have sogn "do not feed the...." lol. You have that exactly right. Ok, I have your "mad comments" deleted. If you are posting from a cell phone, turn the mobile site off. You will then have an abuse button. On computer, it is just there. Remember, you have no excuse, hit abuse. This has been a Marqueeland public announcement. I don't think the report abuse buttons work for me, maybe because Im outside the US? Im not on a cell phone. Nothing happens when I click on it. Well, you do seem to have leadership skills that's for sure! Thank you, mam. (tipping my hat) Just doing my duty for all the normal ppl that visit Marqueeland. Now, back to troll busting. My work is never done. Right. This is what I've been doing. I click 'report abuse' EVERY time I see one of these spammers for the dating sites. Don't respond to them. That encourages them. Report it as abuse. I've noticed that they post to every one of the stories on the entertainment section of CNN, under Marqee section. Maybe we can get rid of them, for good. 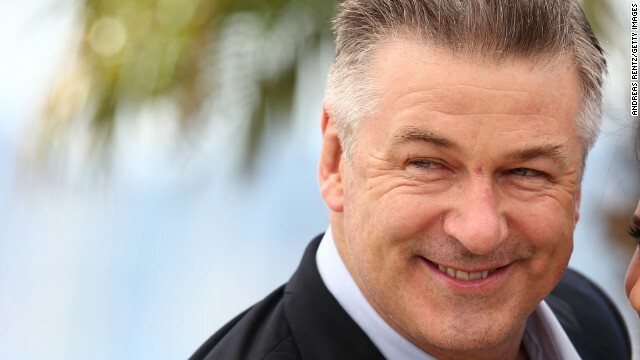 Alec Baldwin's getting his own talk show? Oh please! We'll see how long that last. How can Khloe K not know what her man is up to? Especially something like that. Angelina Jolie is gonna receive an honorary statue, I wonder if it will have a leg sticking out of it? Never mind MAP, I get it now. @bimbo – Doc yourself you rude pig! How dare you make such demands! @Peace – there was another hacker comment that got deleted, Im not being rude to you!!! I don't understand how this THUG, hot tempered guy gets the support of the American people. I guess the reason is why they support Ashad in Syria. They love his aggression. I think this spammer/blogger/troll from Venezuela is actually a viral campaign for a new movie coming out. The story has a good premise – the "evil" empire (US) has a cancer causing satelite that can send the toxic radioactive superwaves to anywhere on earth in a second! So of course they go straight for Latin America, because y'know they be such a big threat to the US n all. Does anyone read Spanish Crazy? Alec Baldwin needs a talk show like Stephen Hawking needs new running shoes. It will though, have some comedic value. People can place bets on the first guest he assaults, yells at, calls a "fat disgusting pig", etc. Baldwin will feel right at home with the rest of the MSNBeCiles!! That Katy Perry song really su cks. I can't play the video. Can you sing it for me so I know how annoying it is? LOL! I'm afraid if I did that I would be more annoying than Katy Perry. Morning MAP and welcome back Jellybean! I'm on the road today. You know, I have an outfit just like Katy's! No, I don't, but I don't know what to comment on today. Lol... Exactly, who is her fan base anyway? I know that it isn't me, not my kind of music. Well, it is Friday finally. I hope everyone has a fantastic weekend! Hello Sadie MAP and all. Hope your having fun on the road Sadie! I think the majority of Katy's fan base are pubescent teens who wouldn't know good music if it bit them on the a ss. So they listen to these steaming piles of rhinoceros droppings with annoying beats and moronic lyrics. That's my theory on her fan base and fame at least. Hope all ¡s having a great day. No road rage for you Ms. Sadie :). Jelly bean you didn't spell your name correctly in that second post. Why do you need to change your name on here all the time? You use mad name to bc that is hijacked bc he had a circle over his a. I think you are half the posts on here with many handles. Pliny told some dude about the handles that one person uses. I think you are all of them and more. Vixen brought up get a room. You him to? Dude how many handles to you have on here. @Sad¡e; yes that was cool of h¡m. Sometimes you do run into a few good ones. Enjoy the rest of the weekend. I'm going to only post this message to you once, seeing you are on every thread crying on how bad we are to you. The purpose of this blog (as stated by CNN) is to post on the topic, with the exception of wyww, or whatever they are calling this one now. We were allowed to chat on this one, but to restrict chatting on the other ones. Again, posting on topic. You don't seem to understand that they do have some rules to this blog. We seem to have driven the point home to you that we are sick of your poop comments, because they have nothing to do with the topics on hand, and frankly, they were quite disgusting to read thread after thread. Not once in the years I have been reading this blog, have I seen any topic about poop. You seem like an intelligent human being when you are actually posting a real comment, but the other ones were disgusting, and have no place on an adult blog. I'm sure if that is your hearts desire, then there must be some blog out there with you in mind. I'm surprised you seem so hurt that we didn't appreciate your comments. Is that the way everyone around you talks? Is so, maybe time to find some new friends. We appreciate the fact that you seem to have put an effort in today, but your constant whining about how cruel we were to you will be the next thing we go after. Grow up and just post. Again, Triumph the Insult Comic Dog is in character. He was on Conan, I believe. His tag line was 'for me to poop on". Get it, in character. Alverez, throws a one liner. Not that I enjoy his comments, but he doesn't go on and on like you do. We are sorry we hurt your little feelings, but enough was enough. Again, you seem like a reasonably intelligent person. Do you understand now? Yes I understand. And my feelings aren't "little". I'm sure you have no idea how it feels to be ganged up on like that , is all i'm saying. It was harsh. Everyone tried to tell you before, but you didn't get it, then you took it too far. We, as adults, come here to comment and read the funny comments. Your poop comments were neither one. You sounded more like a little kid crying for attention, then an adult posting a comment. We are sorry we hurt your feelings, but sometimes it takes that to get our point across. You now know our feelings, and I think the message was received. Just post, nobody is mad, just leave the poop humor to yourself. And one more thing, if you think you are the only one on this blog that has been ganged up on, then you really haven't been around here for very long. Message received, although it took personal insults to achieve it. I never see anyone ganging up on the rac-ist, se-xist or ho-mo-phobic posts put up daily, it's funny what some people decide to get offended about. Considering the funky state of the Marquee(hacker trolls/ruskie dating spam/etc) the poo comments don't really bother me. Never really found them funny but such is life. I had an urge to post a comment on THAT subject matter and I stopped myself beforehand. You should be proud. I imagie that Mr Baldwin's talk show will be awkward at first. Is he funny? I have only seen him doing mediocore humor and drama. Should be interesting to see. **I hope this post didn't offend any delicate eyes and minds.